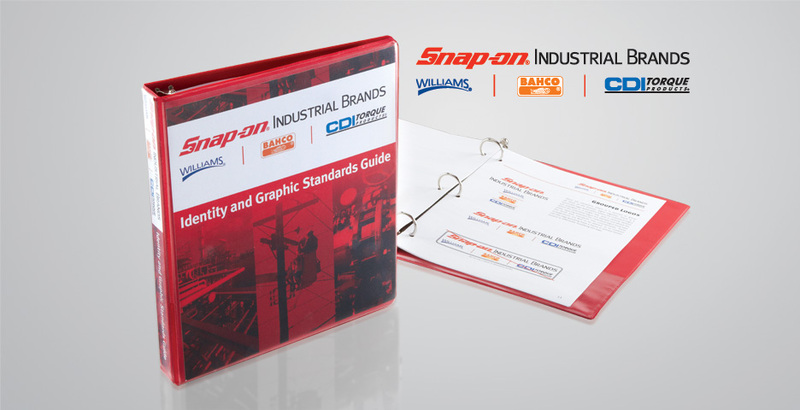 This particular division marketed products under three distinct brand names with no customer-perceived connection to Snap-on or to each other. This approach had limited their growth potential, since each would require marketing investment to stand on their own. Through customer and marketplace research, Imagine determined that the best opportunity to strengthen the individual brands without significant investment was to leverage the Snap-on name. Imagine created the new Snap-on Industrial Brands name and logo to serve as the umbrella over the three sub-brands. This approach also served to prevent conflict with existing Snap-on distributors. To implement the umbrella brand strategy, Imagine developed comprehensive brand standards. These established how the Snap-on Industrial Brands name would be used by itself and in combination with the sub-brands, including what connection each sub-brand could make to the Snap-on name. This resulted in preventing conflicts and maximized the opportunities for the sub-brands.